This last week was Spring Break for most Texas schools. 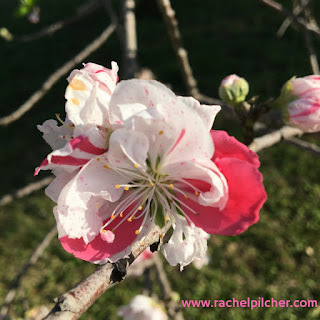 It is always a time for me to get caught up on those things I find important: reading, writing, cleaning my yard up, straightening my house, doing piles of laundry, and maybe even taking a little day trip or two. This year was no exception. I actually really enjoyed not having to live by a particular schedule, but still having time to do what needed to be done to make my life easier to function this week. I do find it interesting that I am more eager to get things done in the spring than in any time of the year. That whole “spring cleaning” thing is really true for me. I get more items recycled during the spring than I do any other season. It’s a letting go of what isn’t needed. A freedom from things. My first foray into downsizing will be my books. I was looking among my personal book collection and seeing that I had many paperbacks and hardcover books that I just don’t need to keep around. I was excited to be reminded about a website that I once contemplated using called BookCrossing. Weeks ago I ordered labels to go onto books that I plan to “plant” around the city, or wherever I happen to be at the moment, such as the Texas Library AssociationConference in San Antonio at the end of April, and set them free to other people who will read them. I have so many books that I want to do this to. I may also put them in one of the “Free Little Library” boxes around everywhere. So many paperbacks to spread around! I should be receiving my labels in a few days. I’m pretty excited about this! I have a great stack of books ready to go.